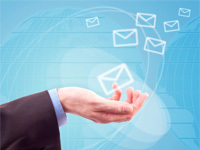 What separates a good email campaign from a great one? Innovation. An intriguing message. A clean, bold layout that gives the eye something to linger on. Reports and tracking that give you plenty to analyze, our Email campaigns design is destined to be a smashing hit. Our customers who are new to email marketing are fascinated by all the tracking they get with their email campaigns. Unlike print or traditional direct marketing, you can actually track how many people opened your email campaigns, and see exactly what they clicked. We often get new users calling us up on the phone, because they're nervous about sending their first campaign. After we help them build up the courage to click the "Send" button, they click over to watch their stats: "Hey! 10 people already opened! 120 people! Holy cow, 900 people already opened!!!" Watching your campaign stats is great fun.